Interior design of three lobbies and amenity space for the residential buildings as a part of Pier Village II—a redevelopment project in the shore community of Long Branch. 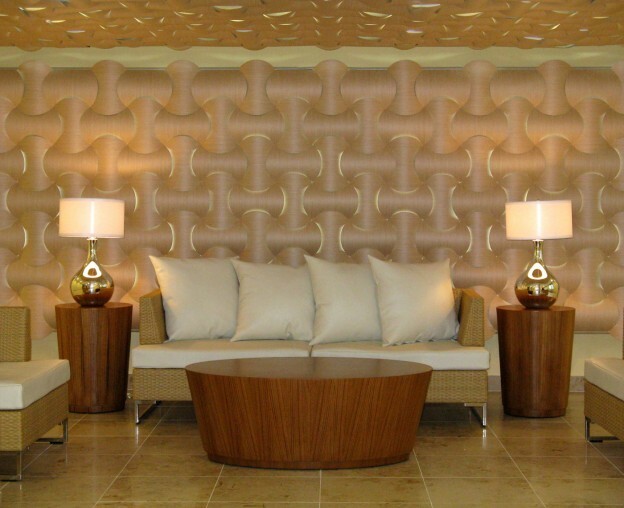 Lobbies feature a custom back-lit “Wovin Wall” system by 3form in white oak. Large format limestone floor tile and woven canvas upholstered seating are reminiscent of the beachside landscape. The Amenity Room is highlighted by hardwood floors, custom billiard table, and double-sided stone mosaic clad fireplace. Contemporary mix of woven upholstered and stainless steel lounge furniture. Playful “Prince Aha” Stools by Philippe Starck. This entry was posted in Interior Design on September 5, 2012 by swolock.